townofsharon, originally uploaded by jahansell. 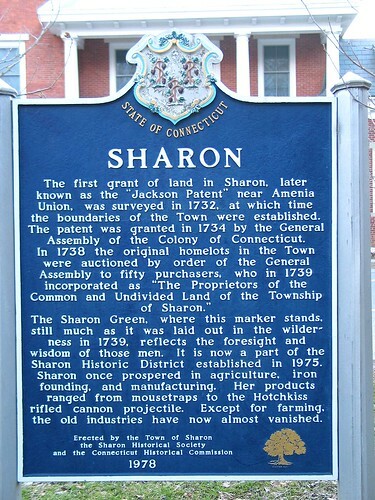 This plaque is on the Sharon Green - it gives a nice concise history of our town. Did you know mousetraps were once one of the major products made here? Now my house mice have to get caught in imported traps! Wouldn't it be great if all towns had a "potted" version history plaque like this.